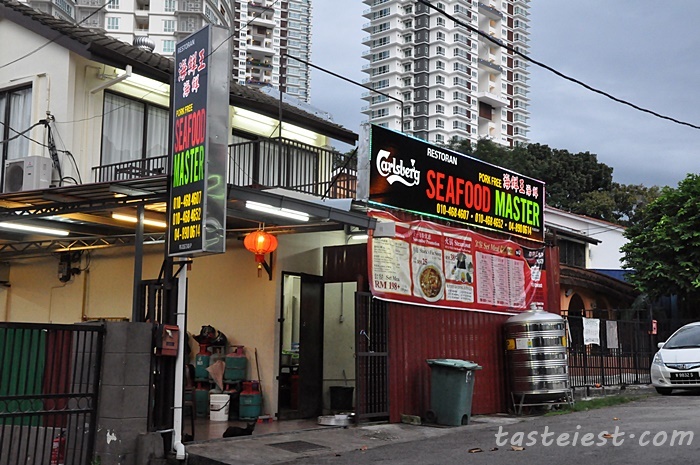 On our last visit to K-Pot Buffet we have notice Seafood Master Restaurant which just next to K-Pot Buffet and recently we saw they have a great deal at CLAIMit.com for just RM72, 7 course meal for 6 pax which is really cheap. Immediately we decided to give it a try. Parking available right in front of the restaurant or you can park behind the restaurant which has more parking space available. Entrance from the back of the shop. Peanut are provided but not included in the voucher but it just additional few ringgit each. 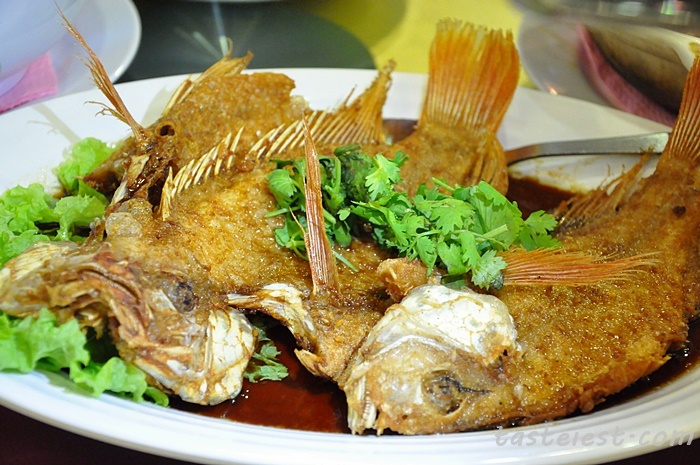 Deep Fried Whole “Kim Hong” Fish, perfectly deep fried fish that is extremely crispy and top with flavorful soy sauce making it taste good. One and a half fish are served to us which are pretty big in size. 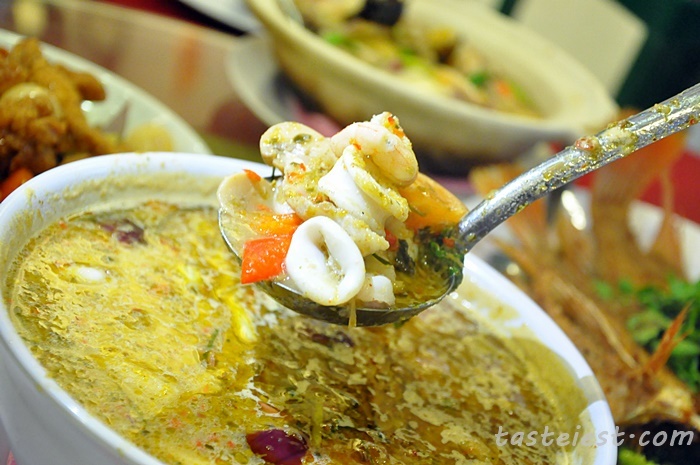 White Tomyam Seafood with assorted seafood included such as squid, prawn and fish meat. 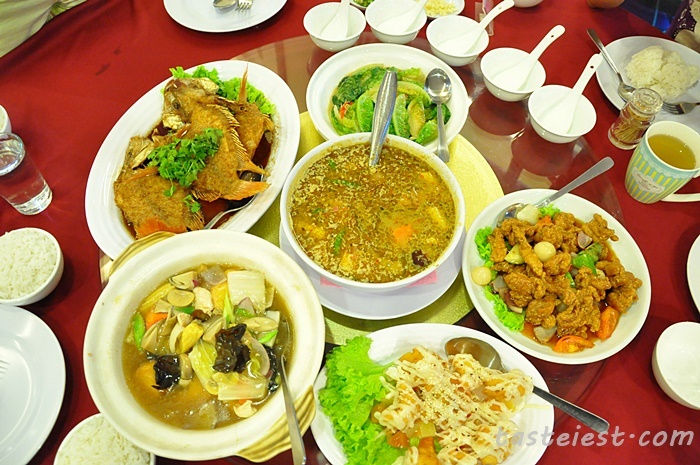 The soup itself is quite spicy but extremely appetizing, I love the strong flavor of white tomyam soup and myself has finish three bowl of it. 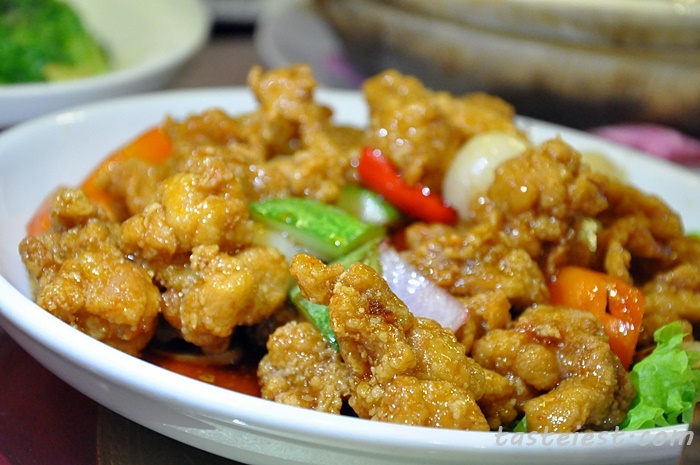 Sweet and Sour Pork, perfectly deep fried pork meat which are extremely crunchy then top with sweet and sour sauce. It is one of the best dishes we all agree on. 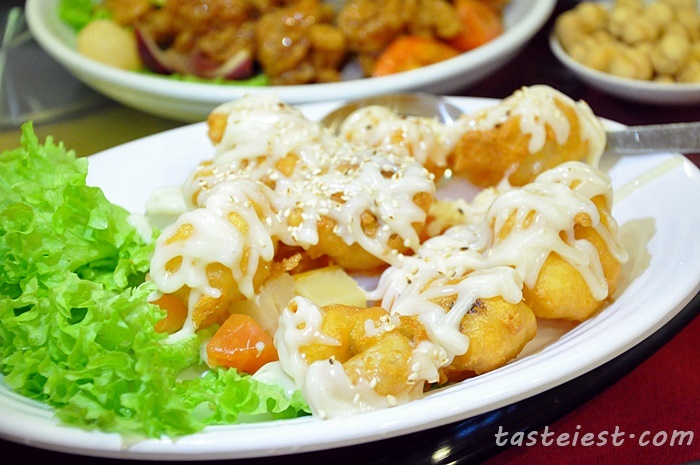 Deep Fried Prawn top with Mayonnaise and nata de coco. 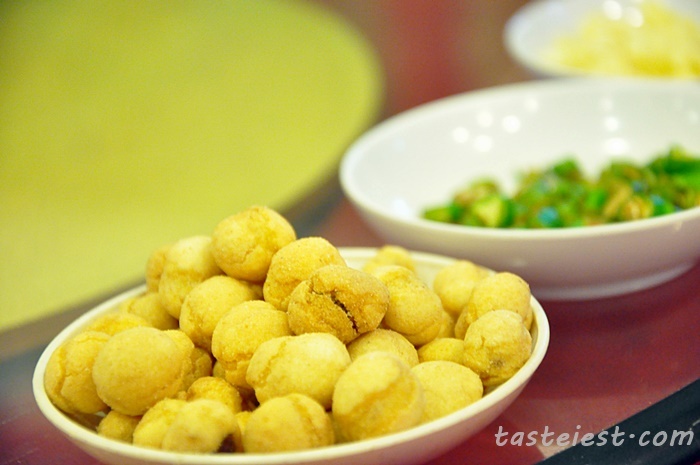 Prawn coated with a layer of flour then deep fried to golden color and top with sweet mayonnaise, it is very crispy and flavorful. 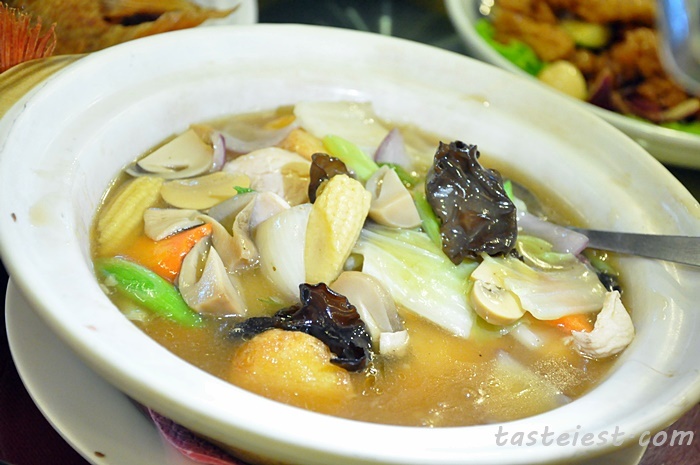 Claypot Mix Vegetables with Japanese Tofu, big bowl of claypot vegetable and mushroom with whole lot of Japanese tofu in it. 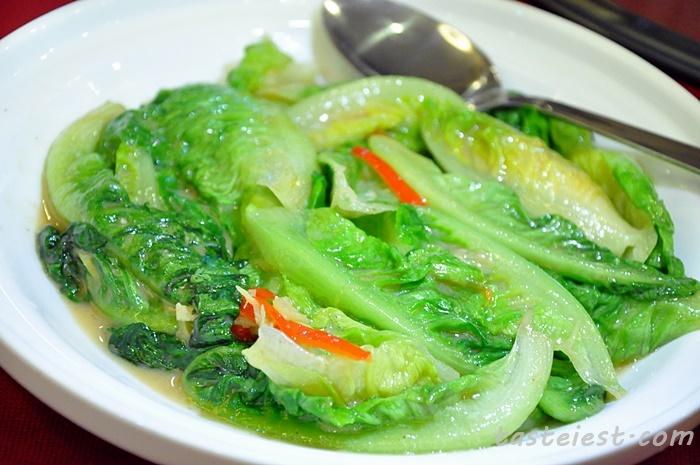 Stir Fried Vegetable with Fermented Bean curd. 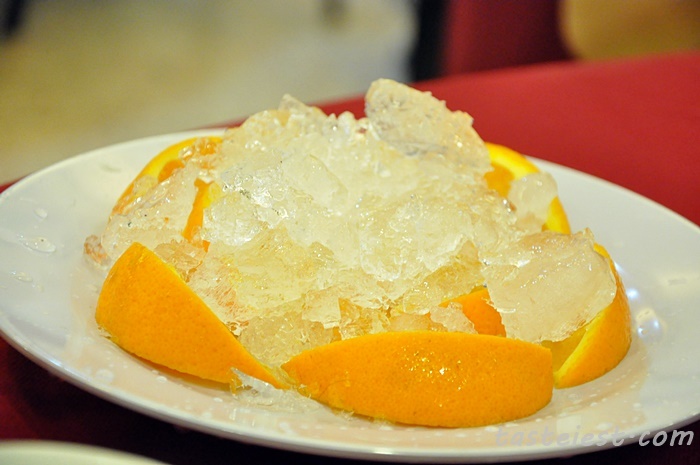 Fresh fruits served to us are orange. Great dinner and value for money, 5 of us really enjoy the dinner and it is extremely cheap, you can get the deal from CLAIMit.com for just RM72. The original price is RM173.25 but now you can get the deal at CLAIMit.com for just RM72, total of 52% discount.